In Brookings, et al. v. Kirk, et al., three Plaintiffs brought claims against the Director of the Delaware Lottery, the Delaware Lottery, and the State of Delaware alleging that Defendants refused to honor Plaintiffs’ seven Keno Lottery tickets, each worth $1,000,000.00. Defendants filed a Motion for Summary Judgment arguing that the tickets are invalid because an anomaly occurred with the Keno Computer on December 17, 2015 that caused five consecutive Keno Lottery tickets to generate a combination of the same twenty winning lottery numbers. 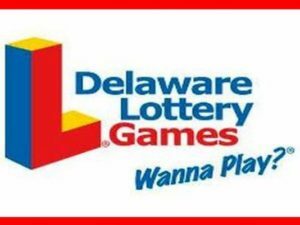 As a result, they alleged that the lottery was illegal because it did not possess the legally required element of chance. When the State learned of the anomaly, it instructed Scientific Games International, the operator of the Keno Computer system, to place a hold on all claims related to the tickets in question. Over $23,000.00 was disbursed to ticket holders who purchased tickets during the anomaly. The Court concluded that a legal lottery requires three elements: prize, consideration, and chance. During the time of the anomaly, the Keno Computer caused the same twenty numbers to repeat themselves. This continued until an individual manually restarted the Keno Computer. Until the Keno Computer was restarted, there was a 100% chance that the same twenty numbers would win. Plaintiffs argued that chance was present from their perspective because (1) they did not know the numbers were repeating, and (2) even if they did know the numbers were repeating, they did not know how long the numbers would continue to repeat. The Court found the Plaintiffs’ subjective knowledge did not create chance where it otherwise did not exist and granted the Defendants’ Motion for Summary Judgment.